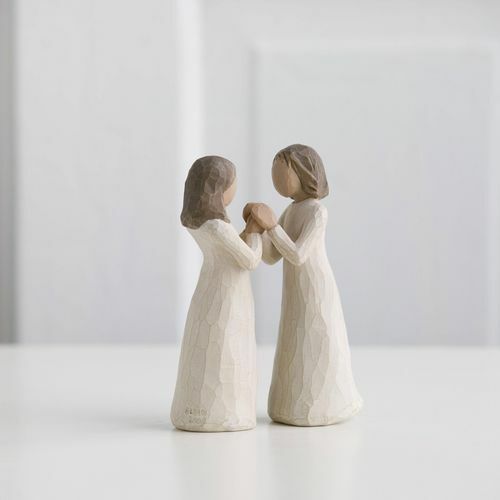 Message on the card inside reads: "Celebrating a treasured friendship of sharing and understanding"
The sculptor, Susan Lordi, is very close to her sisters, and the friendship and support of other women has always enriched her life. She also realises that there are friends or other relatives that may not be blood sisters, but share this same type of closeness. 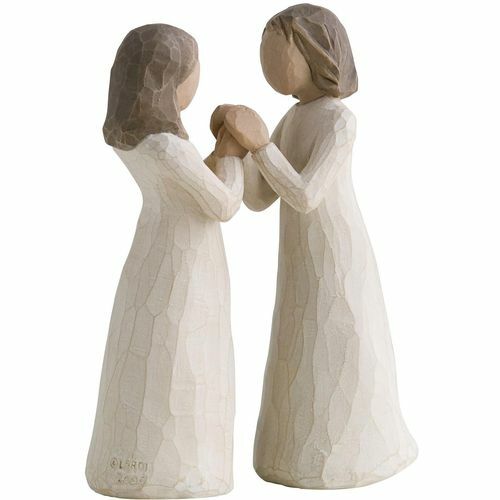 This figurine was designed to celebrate this treasured relationship.